Packing can be a very overwhelming and daunting task, especially when you’re packing for a trip in the woods. It’s difficult to determine what you’ll actually need and what you just want to bring. 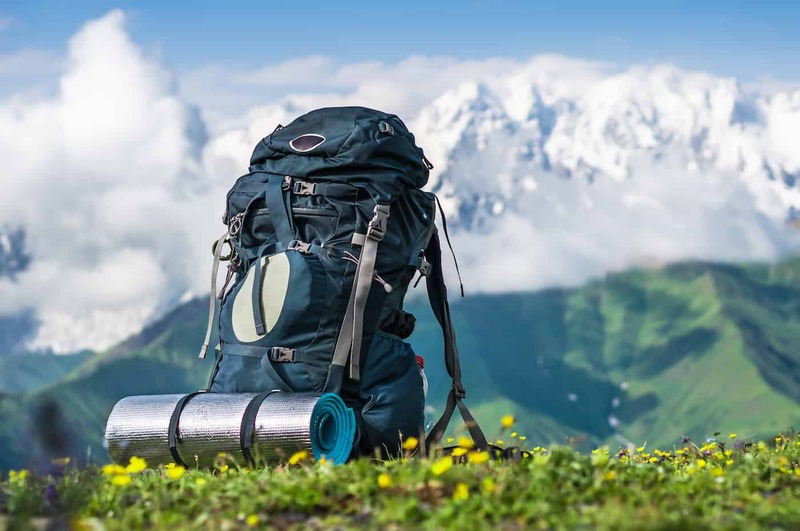 So, to narrow down your packing list for your week-long hiking adventure, here are 6 steps to follow that’ll help you pack. When it comes to packing for a hiking trip, you want to keep things as light as possible. You’re going to be climbing for hours under the hot sun every day for a week. The last thing you want to worry about is all of the stuff you packed. So, the best way to pack light, is to bring a light backpack! There’s no way you can overpack if you’ve only got a smaller backpack. The best kind of backpack will be light but have plenty of room for your items. Keep in mind you’re going to be carrying this thing for at least 5 days, so you want to make sure it’s not too heavy. Also, if you really want to go all out, try and find a backpack that has padding for the shoulders. All that weight on your shoulders and back are bound to start hurting eventually. In order to avoid too much pain, get something with a little cushion to it. All of these backpacks are fairly lightweight and are specially made for hiking trips. Before you leave for your trip, check the weather to see what kind of elements you’ll be dealing with. If it looks like heavy rain, pack a rain jacket. If the weatherman calls for very cold days and nights, bring a warm jacket. Whatever weather conditions you’ll be dealing with, make sure to pack accordingly. The last thing you want is to get caught in a rainstorm with no rain jacket! After you figure out what kind of weather you’ll encounter, start figuring out the most important clothing items you’ll need. The best way to narrow down your clothing options is to pick the items that are the most versatile. If you know a pair of pants are stretchy and comfortable but also warm, bring those over the ones that are a little itchy (but super cute). You want to leave as much room in your backpack for necessities (like food and water), so pack very minimal clothing. You’ll already be outside for a week, so you won’t need an outfit change every day. Unfortunately, you might have to skip the fresh fruit and meat on this trip. Unless you want to lug around a cooler, you’ll want to only pack dry food that doesn’t need to be refrigerated. Granola bars, apples, bananas, and instant food are some items you could bring. If you back a small cooker you can pack instant meals like oatmeal that only require water. These instant food items will take up the least amount of room in your backpack and will still give you a ton of protein. Don’t worry, once you get home you can pig out on a full steak dinner. But you might want to skip out on meals like this when you’re considering space. This might seem like a no brainer, but the number one thing you must pack on your hiking trip is lots of water. You’ll be spending long hours in the sun, exerting plenty of energy, and pushing yourself physically. You can become dehydrated very quickly which could lead to you getting sick. You want to make sure you are staying hydrated and drinking more than sufficient amounts of water throughout the day. So make sure you leave a bunch of room in your backpack for a lot of it! The area you’ll be hiking in might be a little dangerous for hikers. It could be extremely rocky or have steep cliffs. The environment you’ll encounter might be unknown to you, so you want to make sure you’re well equipped. Make sure you pack a small first aid kit for your trip in case one of your adventurers goes a little too far. When you’re hiking you want to have fun, but sometimes accidents happen. You might get a scraped knee or cut your hand on a rock. Instead of letting the area get infected, pack a small first aid kit to clean up small cuts and bruises along the way. You don’t want a small cut to become a bigger issue when you get home. On top of that, you’re probably trying to escape the hustle and bustle of your everyday life. While venturing outdoors is a great way to find an escape, you can’t completely disconnect. A first aid kit will only take you so far in an emergency. If you find yourself in trouble and need help, you’ll want to call for help immediately. It’s pretty obvious that there are no outlets in trees, so bring an external charger that can easily fit in your backpack. Don’t worry, you can turn your phone on airplane mode and still escape reality. This list doesn’t cover all of the items you’ll possibly need. Depending on your trip, you may need to pack a sleeping bag or tent, water shoes, map, sunscreen—the list goes on and on. After you have packed your essential items, make a list of all the gear you’ll need for your specific environment. And after you’ve packed all your secondary gear, get rid of anything that you probably won’t use. You don’t want to carry around extra unnecessary items for days on end. If you follow these 6 easy steps, you’ll be perfectly set for your week-long hiking adventure! Hannah is a writer for trekbible and dreams of being an investigative journalist, or maybe a world traveling videographer, or perhaps the next voice of NPR; basically Hannah wants to be a multimedia journalist. Her voice is too big for her small body so she likes to stand on tall surfaces and shout very, very loudly. Hannah has many passions (some including poetry and the occasional chicken nugget or two) but is always searching for her next hobby.